Animal Collective In Concert When the enigmatic rock group Animal Collective released Merriweather Post Pavilion in January, it became an early frontrunner for 2009's best record. Hear the band perform a full concert at the 9:30 Club in Washington, D.C., recorded live on May 11. 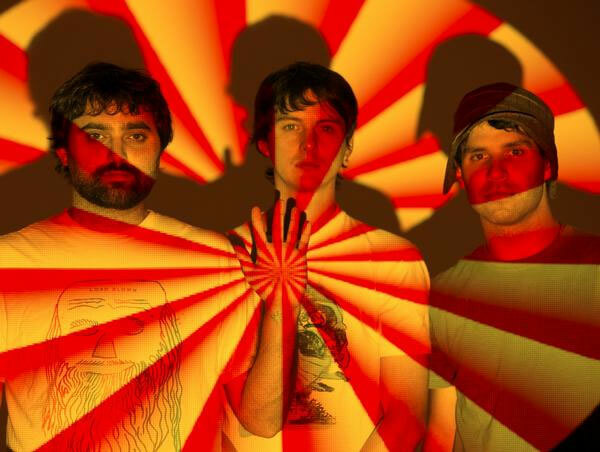 When the enigmatic rock group Animal Collective released Merriweather Post Pavilion in January, it immediately became an early frontrunner for 2009's best record. Months later, it remains the year's most wildly imaginative release, with a strangely infectious stew of tribal rhythms, pulsing synths and shimmering vocals. Here, Animal Collective stops by Washington, D.C., for a full concert — a show webcast in its entirety at NPR Music. In addition to live streaming, the performance from the 9:30 Club will remain archived on this page and in the Live In Concert podcast. 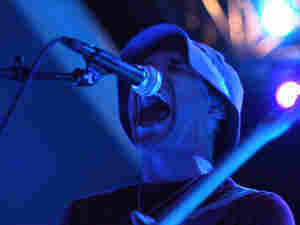 Animal Collective grew out of the avant-garde rock scene in Baltimore, Md., in 2000. The group's members describe themselves as four best friends who grew up playing and recording music together. In the nine years since it released its debut, Animal Collective has built a reputation for crafting strange, shape-shifting songs with cascading walls of noise, polyrhythms and swirling vocals. It's a sound the band describes as "freeform, electronic, horror, gospel, hip-hop, soul, pop madness."